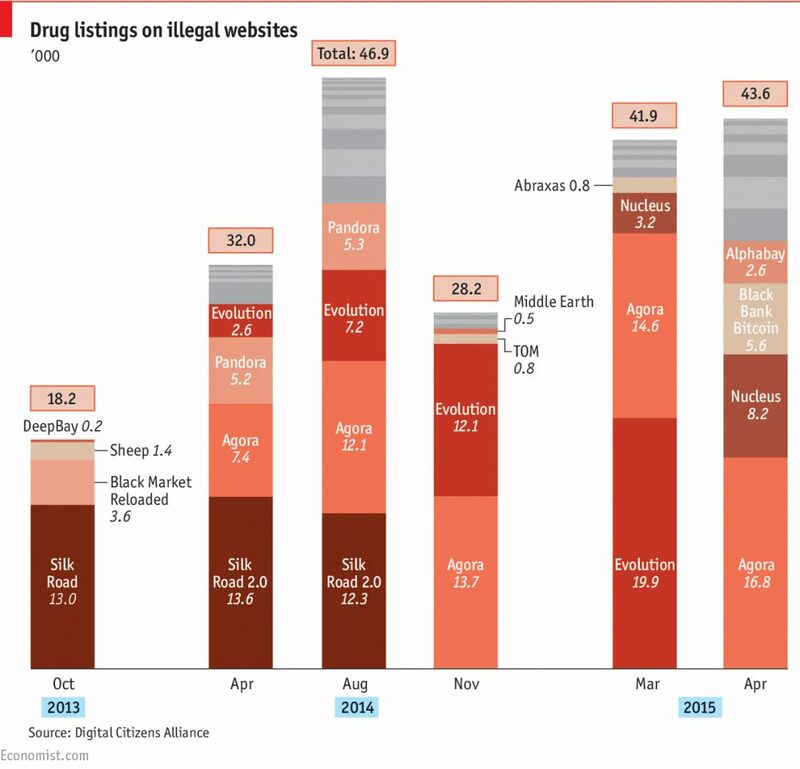 Soon after BitcoinWednesday released a piece about The Legacy of Silk Road, a reader pointed out a story in The Economist called “Silk Road’s Successors” which reprinted the following chart on the development of the industry for illegal drug marketplaces. 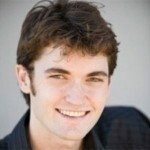 Despite Silk Road’s takedown by the FBI a year and a half ago, it looks like the still relatively small world of online drug dealing has already bounced back. What we expect it to do instead is to spark many more debates about issues such as drug policy, libertarianism and cyber crime. In fact, On 4 March, 2015 Bitcoin Wednesday held the “Silk Road” edition which included a talk by the Dutch Pirate Party leader, Matthijs Pontier, on Silk Road and its drugs policy. On the same evening, cyber crime specialist Ricky Gevers delivered a presentation on cybercrime and Bitcoin. In it, he explained that the amount of actual cyber crime committed with Bitcoin is considered relatively small. The real “Silk Road” legacy may not necessarily be about drug policy, libertarianism, or cyber crime. but about how quickly the technology for autonomous, peer-to-peer marketplaces has improved. The next generation of Bitcoin 2.0 services (like Ethereum) will allow buyers and sellers to transact with one another directly, making such decentralized marketplaces much more difficult to shut down. These kinds of resilient, high availability services will be extremely valuable (perhaps revolutionary) for a host of still-to-be-launched, legitimate — and many non-financial — purposes. Whether that distinction will hold up in court against determined prosecutors is anyone’s guess. On 3 June, 2015 Wessel Reijers, a digital currency researcher for Dublin City University’s Institute of Ethics, addresses The Moral Status of Bitcoin. One of the ethical questions we can ask Mr. Reijers is to what extent the builders of protocols like Bitcoin or Ethereum should be held responsible in the future for criminal activity (i.e. distribution of illegal goods and services) by its users. Is Bitcoin Anonymous? The Legacy of Silk Road Part 3. On 11 June, 2015 decentralized marketplace technology provider OpenBazaar.org anounced that they had received a $1 million seed investment from Union Square Ventures, Andreessen Horowitz, and angel investor William Mougayar. Early Stage Investor, Bitcoin Business Strategy Architect and Project Leader for Complex Internet SolutionsSee generalseven.com for more info.